Set against an international backdrop of jet setters, music, romance, murder, terrorism, and true friendship is Davina Walters, an international singer. Davina meets Jean, a young woman almost paralyzed with fear, as her sadistic ex-husband is bent on killing her. On the spur of the moment, Davina decides to take her along on tour, and the murderer plans his ultimate revenge in a deadly showdown. Obsession of the Heart is book two of the Music Trilogy, a family saga. 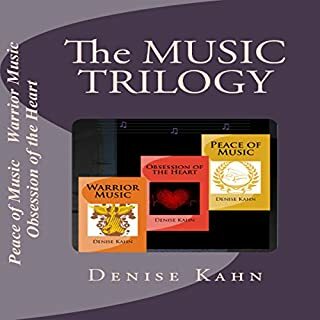 Peace of Music is book one, and Warrior Music is book three. They can be read or listened to in sequence or as standalones. Normally I would not listen to anything violent but I really enjoyed this story.It keep you wantng to hear what would happen next. I would recommend this story it was highly entertaining. Obsession of the Heart was narrated and written by Denise Kahn. Denise narrated both male and female characters. The story was character driven and written in the third person point of view. Denise uses her personal interest in music to create Davina’s character as a singer. Denise worked as an interpreter and translator and is a linguist who speaks five fluent languages. She has incorporated this aspect into her characters. It’s evident Denise enjoys translating foreign languages, she transitions magnificently from one language to another well. I was impressed with Denise’s narration of her male characters. Her ability to switch the feminine and masculine characters with the foreign language was impressive. Although the story itself had more of a telling the a feeling style. The audio had an echo in the background. It sounded like Denise spoke in a hallow tunnel. The music inserts indicated a chapter change. If I read this myself I would have had a different experience than the one I listened to. While I appreciate her fluency with the foreign languages used, I became too distracted by the amount of languages used. There are some books that sound great as an audio and others that don’t translate well into audio. In my opinion, this story with all its content didn’t translate well into audio form. The travel compilations of Davina’s life as an international singer are confusing in audio form. I appreciate the creative mind of Denise, I felt the variety of characters being introduced and the many locations was cumbersome to follow along with in audio format. I needed the ebook to follow along. Davina Walters’ character is an international singer with a flare for foreign languages. This story follows the life of Davina Walters and the danger that follows her when she becomes friends with Jean. Denise waited until chapter thirteen before introducing Jean whom became fast friends with Davina. Davina was on tour traveling the world performing her music and along the way she encountered many people and problems. Very little suspense was to be had until the end. Many relationships were formed. Much traveling encountered. Some singing was performed. Overall the narration by Denise was okay. An echo could be heard when she spoke into the microphone. I would have preferred dual narrators to help separate the male and female characters with as many characters this story had. Performance by Denise was good with her flare for foreign languages. Music played an intricate part in this book. Story was long and cumbersome. If I read this I would have skimmed the chapters. Too much was going on to follow by audio. I was determined to finish. I was pulled into this book from the beginning. I enjoyed the unexpected twists this book had. The narrator did an awesome performance with her various characters and their accents. One could hear who was speaking. I requested this review copy audiobook and have voluntarily written this review. I've been an audiobook enthusiast for so many years. In "Obsession of The Heart"-I was fascinated, entertained, and did not want it to end. I love that Denise narrates. Her accents were amazing! I am Portuguese, and that is only one of the many she employed, but did it spot on. This audiobook is action packed with an excellent plot line. This is my first Denise Kahn experience. I can't wait for my next. 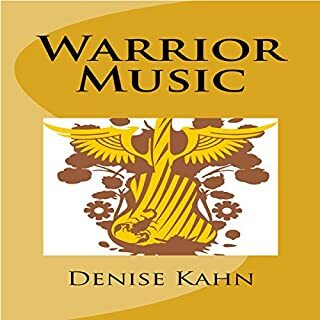 Denise Kahn is talented, evoking so many emotions from the reader. I'm hooked. I loved going on this journey with these characters full of adventure, love, deception and loyalty. So very good! Lovely read! Another stunning narration! Loved how it brought the story to life. Great performance! Obession of the heart has international travel stars and vengeance. This was an ok read I liked that there were different places and times. It got a little confusing with all the different POVs and the accents were really thick but ok. This is a far-reaching novel which takes the reader on quite a ride, visiting several different countries. The reader becomes immersed in the cultures of these countries and the story develops. There is non-stop action, much emotion. I actually found all the action a bit overwhelming, but if that is something you like, then I recommend this book. 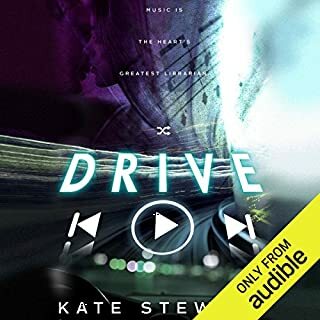 I listened to the audio version which is narrated b the author. She does a fine job with all the characters, but I was particularly impressed with how she managed all the different male characters. This is the second book in a series, but they can all be read independently of one another. Book 3 in the series. Heroine is Davina. I have mixed feelings about this book. I enjoyed listening to it but it didn't really grab me as much as I would have liked. I really liked the action and adventure even though some of it was just relayed to the listener after the fact. I never really felt like I was right in the middle of it all as it was happening. Also, I didn't feel the romance between the characters as it was happening as it was presented in a very matter of the fact kind of way. I didn't feel any great emotions from the characters and so I didn't really connect to them on any great level. They simply met, fell in love and got married. My favourite scene was the concert in America. It was quite an exciting showdown and it had wide ranging consequences for a few of the characters. I prefer it when a story centres round one or two main characters and follows them from start to finish. 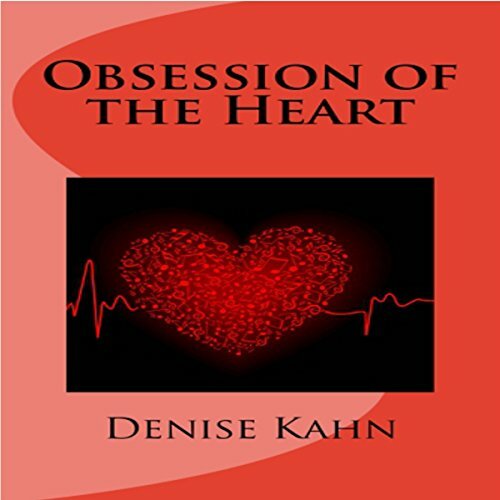 Obsession of the heart is a collection of stories about different characters whose lives connect at different stages and are involved in the main events in some way. The story also jumped in the timeline which confused me a little bit in the beginning as I wansn't expecting it. I thought Simon was a well written character. He was a total psychopath and I looked forward to seeing him get his comeuppance. I also loved Davina and Alessandro and would have liked the story to have been more about them and not Jean. Although this book was entertaining enough I'm not sure I would seek out any more of the series. I voluntarily reviewed a gifted copy provided by the author.